Wired868 is pleased to re-open its doors to the world today with a sleek and modern website that improves upon the vehicle initially launched on 12 January 2012. 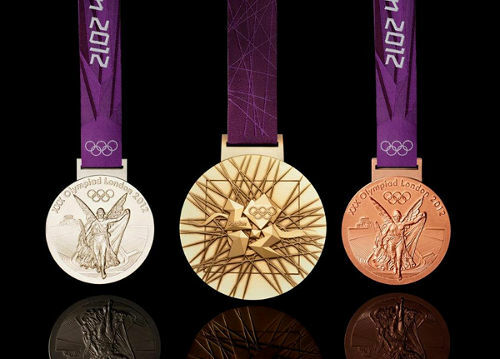 This re-launch comes as the world is enthralled with video and images from the London 2012 Olympic Games. All Trinidad and Tobago gushed with pride as Keshorn Walcott threw his way to our first Olympic gold since Hasely Crawford 1976 100m victory in Montreal and as Lalonde Gordon sprinted into our collective hearts. In London too, Jamaica’s Usain Bolt and Grenada’s Kirani James proved marvellous ambassadors for Caribbean sport. Trinidad and Tobago made it to the Olympic podium on four occasions while the Caribbean enjoyed its best ever medal haul. It took a little longer to appreciate what Trinidad and Tobago’s 4×100 metre team had achieved as the quartet of Keston Bledman, Marc Burns, Emmanuel Callender and Richard Thompson earned bronze after a lane violation by Canada. So put yourself in Richard Thompson’s head as he collected the baton in roughly sixth spot and with medal hopes fading fast. Might you not have been tempted to allow yourself a fraction of a second of self-pity? Might you not have sighed and then gone through the motions as there seemed to be little reward available for your hard work? To his eternal credit, Thompson did not. Instead, he bent his back and put every ounce of strength into the last leg effort. At the finish line, he dipped to beat France to a supposedly meaningless fourth place. How great a nation might Trinidad and Tobago be if everyone performed his job with such professionalism and scoffed at the dozens of reasons we so often find to give less than our best? And because we believe these messages enable sport to play a meaningful role in society, we at Wired868 look beyond the result to give you the important back story. Sport does not exist in a vacuum and is not divorced from politics, business or community life. Ditto for Wired868. At the Wired868 e-address, we aim not only to capture the soul of this tiny twin-island republic but also to provide insights into our Caribbean region as well as to offer information and commentary for a global audience. At the time of writing, Wired868 remains primarily a football publication. But this does not mean we are merely a compilation of match results, reports and sundry statistics. We believe that the input of athletes on game day deserves context and should be fairly assessed against the supporting efforts of administrators and compatriots alike. Trinidad and Tobago’s “Soca Warriors” bond during the Germany 2006 World Cup. We aim to peer into our world through the lens of sport and relay an accurate picture to our readers through well-crafted major articles and the varied contributions of our guest bloggers as well as our satirical morning news briefs under the “Good Mornin’ Neighbour” rubric. Here, therefore, is another important, relevant back story that is not often told. 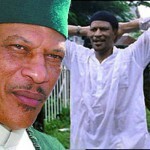 On July 27 last, Trinidad and Tobago marked the 22nd anniversary of the 1990 attempted coup when 114 armed Jamaat-al-Muslimeen men stormed the Red House and TTT and took hostage several parliamentarians, including then Prime Minister Arthur N.R. Robinson. In the build-up to the Muslimeen’s attack, the country was a tense place full of protest and cynicism with citizens unhappy over the perceived aloofness of Robinson’s Government as well as over the then recently introduced austerity measures. 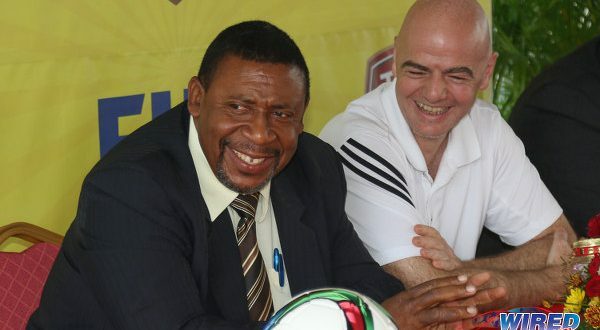 Some eight months earlier, the mood could not have been more different when the national football team—dubbed the “Strike Squad,”— playing a vibrant, extemporaneous style of football that seemed to mirror the country’s best qualities, brought the country to within one point of qualification for the Italia 1990 World Cup. On the field, the Strike Squad did not accomplish its mission; off it, the Prime Minister failed to exploit the euphoria and unity spawned by those unappointed ambassadors. Had the Strike Squad prevailed against the USA on that November 19 and had the nation spent June 1990 in a patriotic fervour whipped up by our maiden World Cup appearance in Italy, would Yasin Abu Bakr have deemed it necessary to take the extreme line for which he opted? After the Strike Squad’s elimination, Government reneged on its promise of housing to the team and, despite dozens of performances in sold-out arenas, the Trinidad and Tobago Football Association (TTFA) also withheld payment of match fees to the players. 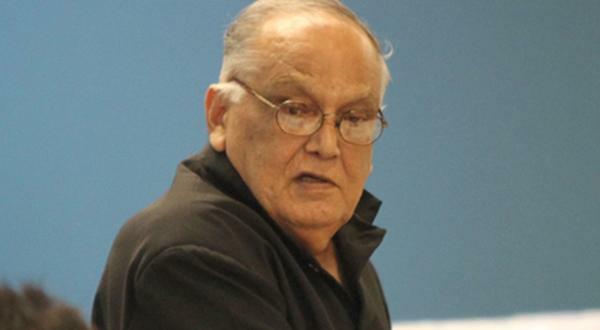 Sacked Coach Everald “Gally” Cummings blamed his release on his refusal to publicly support then TTFA General Secretary Jack Warner when he came under fire for his role in overselling tickets for the final qualifying game. In his approved biography, Warner later admitted to selling tickets to more than twice the number of patrons than could fit in the National Stadium. On the day, his action spawned chaos that psychologically drained the local players who had to be lifted over the heads of fans to reach their dressing room before kick-off. And, more importantly, it compromised the safety of tens of thousands of citizens inside the ground and without. Warner, however, now the National Security Minister, was not penalized but promoted. On 28 April 1990 in Guatemala City, backed by a supportive FIFA boss João Havelange, he was elected as CONCACAF president. And, back in Port of Spain, the Commission of Inquiry into the ticketing scandal was starved of funding and cooperation and, after less than two dozen sittings, was forced to permanently abandon its activities. Those whose business it was to find truth seemed to decide that it was counter-productive to question power. Are there parallels, Wired868 asks, between the frustration of the post-1990 Commission of Inquiry headed by the late Lionel Seemungal, SC, and the so far fruitless efforts of current DPP Roger Gaspard to ensure a proper investigation into the 2011 FIFA presidential election bribery scandal? 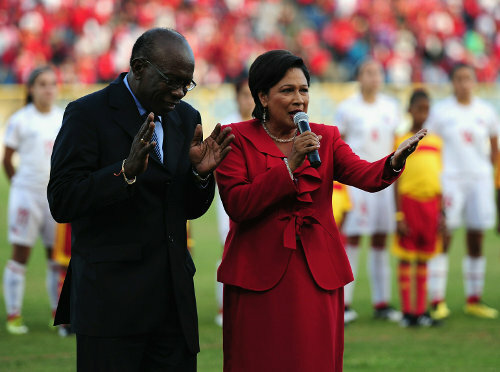 National Security Minister and ex-FIFA Vice President Jack Warner (left) accompanies Prime Minister Kamla Persad-Bissessar to the 2010 FIFA World Cup opening ceremony in Port of Spain. 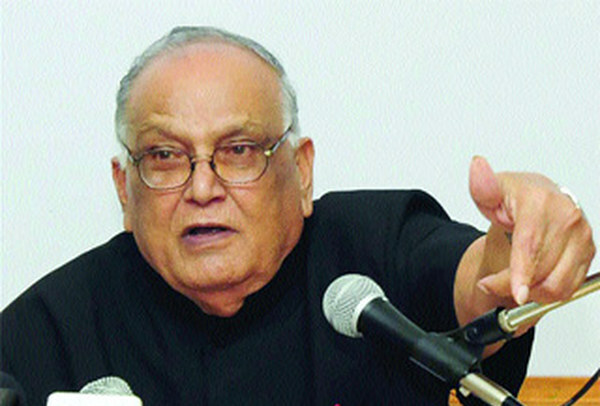 Did the fiasco of November 1989 further alienate Trinidad and Tobago’s citizens from authority figures as the nation marched towards 27 July 1990? Can Thompson and company’s triumph of effort and belief touch lives in the way the Government hopes that ex-NBA star Shaquille O’Neal has? Sport, to paraphrase former American sportswriter Heywood Hale Broun, does not build character; it reveals it. And the sporting events of November 1989 and November 2005 exposed the best and worst in some of us. Robinson failed to demonstrate an understanding that what happens in sport is more closely linked to life on the streets than it appears. His successors did no better. 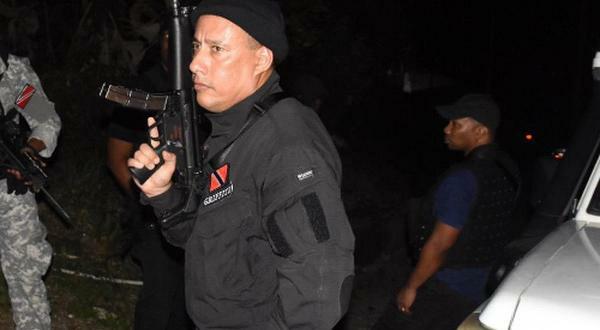 On that July 27, it was, ironically, the same Strike Squad players, many of whom served in the local Army and Police Service, who cut short a Caribbean Cup match against Jamaica to rush to the defence of the country and, ultimately, to save Robinson’s life. Perhaps it is ironic too that Warner, a former schoolteacher who benefitted—in wealth and status—from the virtually unregulated and often non-transparent arena of sport, is now arguably the most powerful political figure in the country. Simultaneously, Transparency International records that Trinidad and Tobago has plunged in terms of the perception of corruption in public life. Sport matters especially because it is meant to be a microcosm of the equal and fair society that citizens are promised; a miniature version of the egalitarian ideal we all hold dear. In sport, gifted and ordinary persons combine for the common good of maximising the transfer of ability into achievement while providing a positive entertainment spin-off. Young Walcott (javelin), Gordon, Jarrin Solomon, Ade Alleyne-Forte and Deon Lendore (4×400), Thompson, Keston Bledman, Emmanuel Callender and Marc Burns (4×100) provided stirring examples of what can be achieved by marrying effort, ambition, collaboration and imagination. Richard “Torpedo” Thompson did not match Keshorn Walcott’s historic golden achievement but the sprinter’s performance was special in its own way. Wired868 seeks to join in the promotion—and protection—of what is best in sport. We aim to support the efforts of our on-the-field representatives by providing consistent food for thought to readers at home and abroad. Your involvement is not just as readers and end-users but as neighbours and stakeholders in our enterprise. Sign up, join in the conversation and stay on. Editor’s Note: What do you think of our new site? 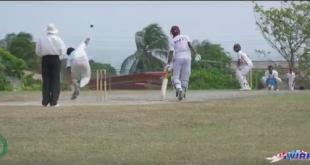 What should sport mean to Trinidad and Tobago? Let us know your thoughts. 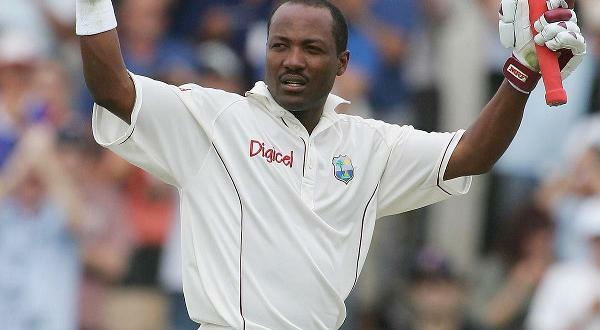 A country in almost all instances is identified by its sporting history. Trinidad and Tobago’s sporting administrators, sportsmen and women and the fans must realise and understand the importance of sport in our country. It is powerful and its influence as a unifying force should not be underestimated. FB User 4610 on FIFA/Concacaf delegation meets TTFA Board as concerns grow; but are they here to help football? Or DJW? FB User 4723 on FIFA/Concacaf delegation meets TTFA Board as concerns grow; but are they here to help football? Or DJW?